Internet-only Kakao Bank said Monday it has unveiled a passbook for members of mobile communities and group communication. An administrator of a mobile community can open a passbook that can be used to collect membership fees, the bank said. As many as 100 members, who are aged 14 or older, can join one passbook, the bank said. For security reasons, the passbook's account is available for a virtual account to members of a mobile community, the bank said. 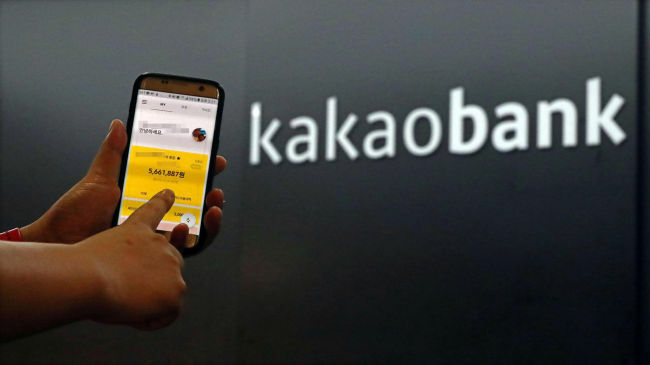 Lee Byeong-soo, a senior Kakao Bank official in charge of the passbook service, said the passbook is expected to help an administrator transparently manage financial transactions among members of a mobile community.